What does health literacy have to do with patient education? I’ve been asked this question many times over the years, directly and indirectly. The question itself makes sense. As providers, you want patients to have health information in a way that they can use. You want to share what you know, in a way that will make a positive influence on patients’ lives, in the short and long term. You know that health literacy has to do with patients’ understanding of health information. And so, clever people that you are, you figure that health literacy somehow plays a part in patient education. And you’re right; it does. Certainly more than you’ll learn from me in this short article. But I will dig in here and give you some examples. Specifically, I’ll offer some thoughts about what health literacy might have to do with you, in your role as educator. As you may know, I’m particularly interested in what language, literacy and education have to do with each other in (and beyond) the health sector. So I’ve been keeping an eye on the implications of health literacy research for the practice of patient education. 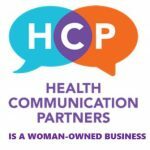 Health communication, health education, and health literacy are rooted in a common understanding of human communication and share the goals of enhancing human health, improving health outcomes, and reducing health disparities. 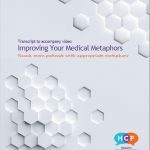 The authors draw a strong line connecting the (sometimes siloed) fields of health literacy, health education, and health communication, and make a compelling case for collaboration among them. They end with a call to action, and it’s in this spirit that I write here. Health literacy is a relatively young field, and has seen explosive growth in the last 10 years. Health literacy research has helped raised awareness of many issues related to patient education. Eliminating jargon is important, and you’ve been doing that. Providing the same message in multiple formats is also key to patient education, and that’s happening especially in the digital realm. The providers I speak with recognize that improving health outcomes involves understanding their patients’ thinking, knowledge, resources, and goals. And there’s much more that health literacy research has brought to the fore – issues involving providers, patients, materials, contexts, and policies. Can health literacy get in the way? Patient education is a relentlessly complex endeavor. You educate patients under (sometimes unbelievable) constraints. You often have a great deal of complexity to work with. And everyone learns differently. Add to this the fact that there can be subtle pressures against thinking about your patients as capable learners. Sometimes, patients can be framed or positioned in negative ways by well-meaning research, theories, practices, or policies. And health literacy is no exception. These taken-for-granted arrangements can become part of institutional norms, and creep into providers’ everyday actions. For example, a nurse manager recently told me how upset she was, when she looked at a patient chart and saw that her patient was identified as illiterate. She seemed disappointed in herself, as she did not know what do to as she began the patient encounter. She was unsure how she should approach the patient. In talking to me, she realized that the one word “illiterate” had negatively impacted her thinking about the patient as a person. She suddenly seemed too different. “Illiteracy” (I’ve pointed out before) has been used as a pejorative term for decades, and “illiterate” can quickly take on negative connotations, too. Labels such as this can conjure images of someone unintelligent, uninformed, backward, or somehow lacking in what’s necessary to function in the modern world. This is as untrue as it is damaging. Unfortunately, people who are repeatedly told they are illiterate come to believe these things about themselves. The relationship between patient and provider was damaged here, as well. Reliance on ‘reading levels’ is problematic – in part because of such implications. Anything that makes you feel more distant from your patient can make patient education seem more difficult and daunting. So what can you do? Let’s close some of that distance. Let yourself reconsider any theory, policy, strategy or research that implies some people can’t learn. Or are not learning, no longer learning, or not interested in learning. Many studies prove that even people who are labelled as illiterate by one measure or another draw on a broad range of strategies when it comes to literacy and numeracy activities. They have multiple sophisticated ways of reading a text or image, keeping track of items, measuring and weighing, estimating and calculating. Including health literacy studies. Be on guard for implications that ‘those kinds of people’ just can’t learn. A patient’s health literacy level is not a proxy for education. A patient’s health literacy level is not a proxy for intelligence. But it can be treated in that way, albeit unintentionally. It may be more helpful to think of health literacy as someone’s savvy with certain kinds of information, certain terms, and certain systems. Specific ways of putting two and two together. Specific ways of doing things, known to insiders. Approach your patient as someone who uses language in sophisticated ways in their everyday life. Because they do! Speak with this assumption in mind. You’ll feel less disconnected from your patient, and can focus on the task at hand. I’m a fan of yours (and of health literacy and patient education, if that’s not already obvious). So please reach out to me for support in the work you do around health literacy and patient education.